We would like to introduce you to this fantastic planting idea for your garden. The verti plant comes in a pack of 2 and each planter has 3 pockets to hold 6 plants. This is a simple way of bringing a splash of colour to a bare fence or wall. The top two pockets of the verti plant have drainage holes in so that the water can run through and help water the plants below. 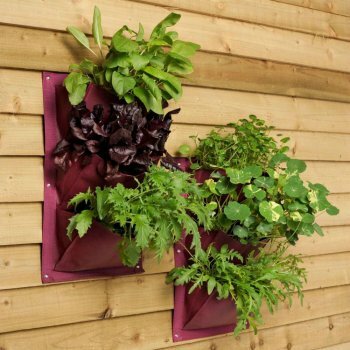 You simply screw these high performance durable planters to a wall, fence or shed to create a living wall of flowers or herbs.